Tennis beginners always find themselves frustrated for one simple reason: they can’t hit the darn ball. There are many things that can cause you to miss the ball, but it is something to be expected from you as a beginner. If you find that you are frequently missing the ball, you may want to take a good hard look at your game to determine if one of the following three problems is the cause of your frustration. If so, you will find some tips to help you overcome your problem and correct your game so you don’t miss the ball. When first starting out, most tennis beginners find that you have a hard time judging where the ball will land. When this happens, you will end up being too far forward or too far backward and will thus miss your swing. One of the most important things to keep an eye on is the direction the ball is spinning. If the ball is spinning towards you, which means there is topspin on the ball, you have to give yourself space to hit the ball. If you run towards the ball where it bounces, most likely the ball will bounce up high and passes you very quickly. That's the beauty of topspin but nightmare for beginners. What you need to do is give some distance between yourself and the first bounce of the ball. You will find that the ball will come towards you. Another tip for you is that the heavier the topspin, the further the distance it is between the first bounce and you. If the ball is spinning away from you, the ball is much more likely to float. This is a tricky one for beginners because your opponent has probably hit a forehand or backhand slice. The ball may have a side spin or skid when it touches the ground. You will need to move back or stay where you are to ensure that you hit the ball at the best angle. It is also very important to stay low to hit the skidding ball. It is essential that you keep an eye on the spin of the ball to determine where it will land and which direction it will bounce in, and you can gauge the direction and hang time by watching the way your opponent hits it. Poor timing for tennis beginners means that they swing either too early or too late, and the ball ends up striking the racket at a strange angle or flying past the racket altogether. If you find your timing is off, you may want to work on your footwork. Your footwork is an important part of your timing, as it gets your body moving in the right direction as soon as your opponent hits the ball. If you want to improve your timing, it is wise to do a split step when your opponent strikes the ball. This starts your body moving, and will help you to be light on your feet. You will find that this little hop, however silly it may look, will help you to get to the ball in time to send it back. You will also need to work on your hand to eye coordination, as that is what is causing you to wind up for the shot too early or too late. Remember that all of the timing and coordination takes lots of practice, so don’t get discouraged if you don’t get it right away. 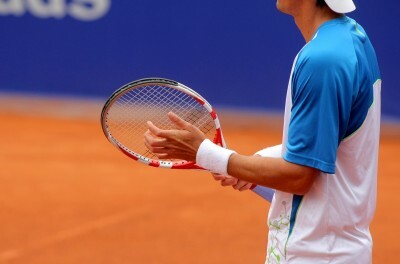 Most tennis beginners don’t hold their racket properly, and you may find that your will slip as you swing and miss the ball altogether if you don’t have the proper grip. On the flip side, if you are holding your racket correctly, you will find it much easier to swing and hit the ball every time. If you are winding up at the right time and gauging the distances correctly, you should consider your technique to be flawed. 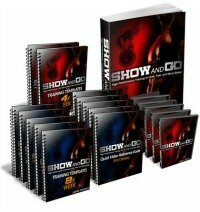 Work with a tennis coach to help you improve your tennis technique and overcome your poor form. 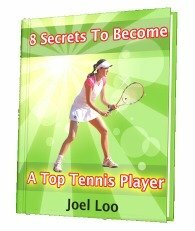 The only way to get rid of your bad form as tennis beginners is to learn from the expert because he or she knows how to improve your technique gradually and progressively. With more practices and playing experience, I am sure you will be able to consistently hit the balls and play better tennis. 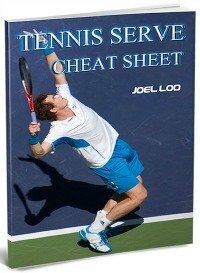 From "Tennis Beginners: How To Solve The Frustration Of Missing The Tennis Balls" To "How To Play Tennis Efficiently And Become A Better Player"